Father's Day Chocolates is rated 4.9 out of 5 by 18. 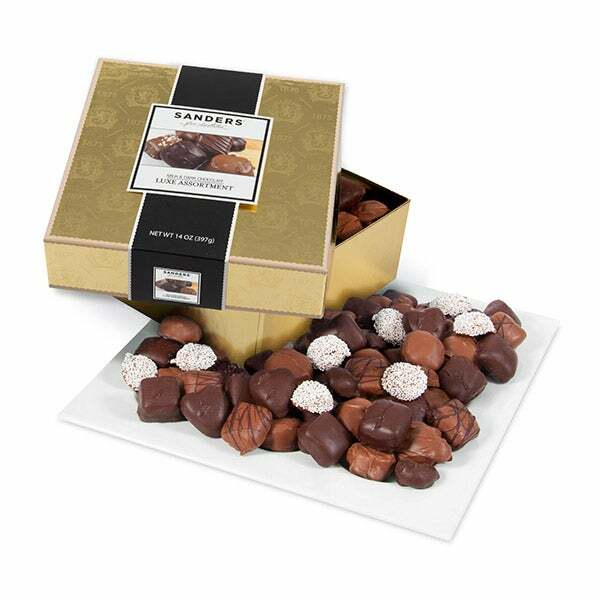 Making Father's Day special is easily done with this exquisite collection of gourmet chocolates! 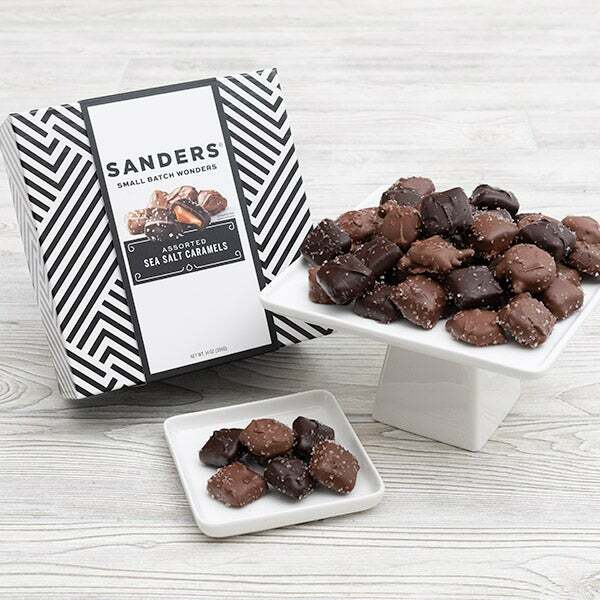 Each one is handcrafted by a skilled artisan and sealed inside a thick layer of rich dark or milk chocolate, before being artfully embellished with ribbons of silky chocolate. Presented inside inside a sturdy gift box, this stunning arrangement is the perfect way to make this Father's Day unforgettable.